PHASTAR are a corporate sponsor at the YSM 2015 in Cardiff. We will be exhibiting at the event, so come and visit us at our stand. We are looking forward to meeting the young career statisticians and having an evening at Cardiff Castle! PHASTAR attended last week's BIO conference in Philadelphia, attended by over 15000 pharma and biotech professionals. There were many heart-warming stories of successful individuals and organisations making progress in the fight against various diseases. Talk of innovation in biotech was rife, such as combination immunotherapy, and how big data will impact drug development. Another hightlight was Bill Clinton giving a talk alongside the conference calling for "disruptors" in biotech. The BIO conference confirmed that PHASTAR are moving in the right direction with our current expansion plans to the US. In the state of New Jersey alone, one presented noted that there are 3100 biotech and pharma companies, a number that exceeds biotech companies in the UK alone. PHASTAR's expansion plans are well underway, and we plan to have a US office open by the end of 2015. We will also attend JSM in Seattle in August to further learn about the US market for biostatistical services. During the conference, we met over 30 companies, through the formal partnering system provided by BIO, but also through informal meetings at the numerous networking events, such as the conference closing event kindly sponsored by J&J. Whilst there are so many biotech companies attending the conference, it is also obvious that there is a need for improved statistical support in this arena. Companies are often presenting their results to attract investors and there were many statistical problems in the way that the data were presented. PHASTAR are pleased to announce that we are once again Gold Sponsors of the PSI Conference. 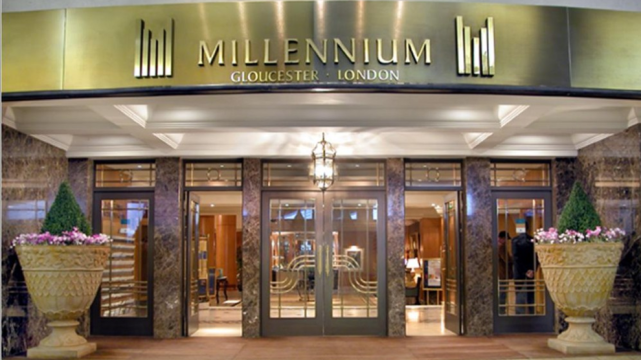 We will be hosting the Drinks Reception and the Gala Dinner on Tuesday 12th May 2015 at the Millennium Hotel, London. We were amazed by the diversity of artistic talent there is amongst pharmaceutical statisticians and SAS programmers. We had planned to offer one prize, but in the end, we have selected a winner and two runners up, as all three were extremely close in the final votes. 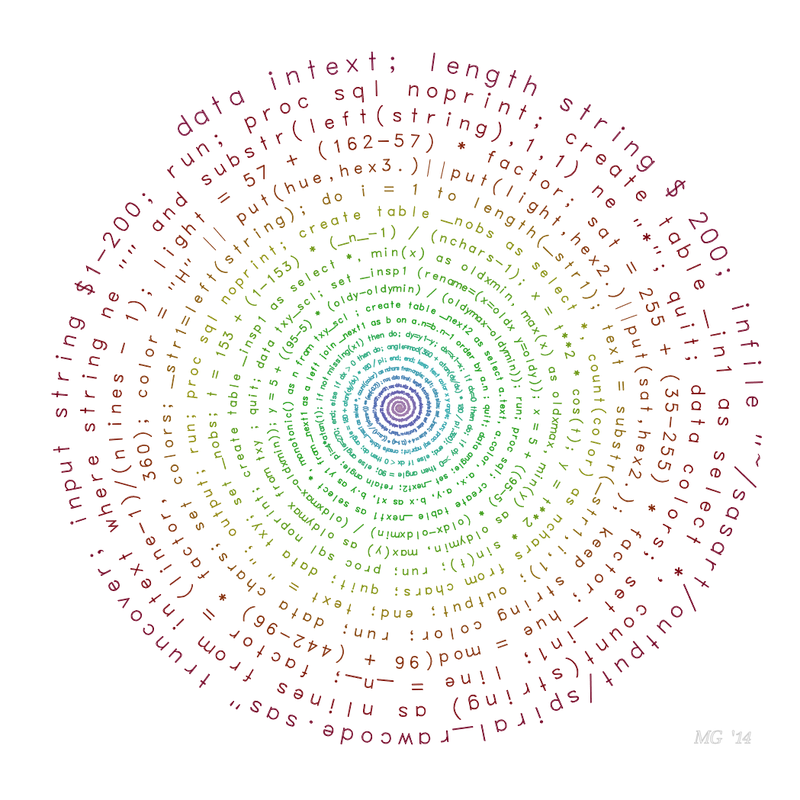 The piece consists of a "Fermat spiral"*, containing the text of a SAS program - the very same program used to generate the spiral picture. The colour of the spiral begins as "Phastar dark red" (converted from RGB to hue/lightness/saturation), and finishes in the middle as "Phastar light red" (also converted to HLS). The intervening colours change from one line of code to the next (rather than one character to the next), moving smoothly going "the long way around" the spectrum. SAS Art Competition - Open to All.